Please visit our home page for Days and Hours of Operation, which are updated Sunday evening for the following week. 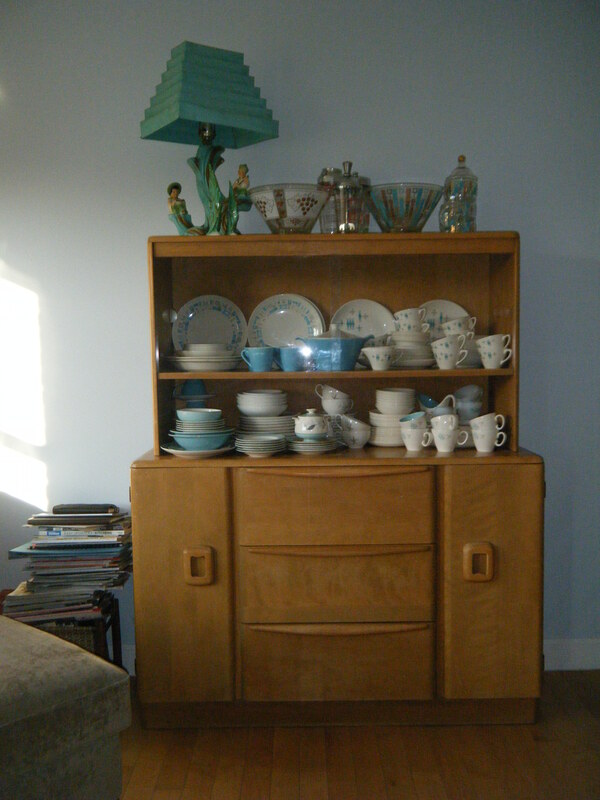 These dishes are simply fabulous with simple lines and fun teal atomic accents. There is service for four with four dinner plates, four soup bowls, four salad plates, four fruit bowls, four cups and saucers, one large serving bowl, and one oval-shaped platter. There are extra pieces as well, making this set a steal at $65.